Today's card is from my upline's March group challenge. 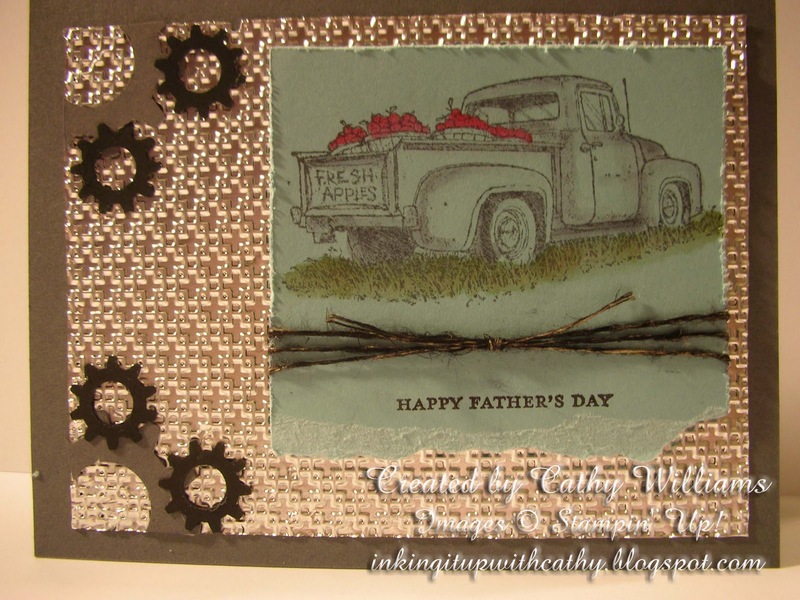 We were challenged to creating a masculine card with one 3 layers and one embellishment. Nothing says "masculine" like metal, right? I took heavy-duty aluminum foil and ran it through my Big Shot with the Square Lattice embossing folder. 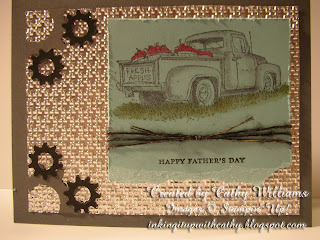 If you want to try this, just remember to cut it with your cutter BEFORE you use the embossing folder. If it needs trimming afterwards, you will need to use scissors; otherwise, it will tear. Also another little trick - I used the linen thread as my embellishment but didn't want the natural color so I took my Basic Black marker and colored it! Was that an "Ah ha" moment for you? You now have 48 colors of linen thread!